It was No. 3 Manual (18-4) and Dunbar (10-13) in the final game of the 2015 Forcht Bank King of the Bluegrass Showcase. The second straight upset of the event saw unranked Dunbar cruise past the Crimsons for their tenth win of the year. A thrilling opening quarter saw the teams battle to four lead changes and three ties before Darius Williams three-pointer with 2:49 remaining in the first quarter put the Bulldogs of Dunbar ahead for good. Dunbar took a 21-13 lead at the end of the first quarter. The story of the second quarter was the Dunbar defense which held Manual to 3-of-13 shooting in the quarter. By midway through the quarter Dunbar had built a 16 point lead in route to a 37-24 halftime lead. The Manual defense came alive in the third quarter forcing seven Dunbar turnovers. The Crimsons also converted 11 second chance opportunities into 11 points. Manual's Chris West scored his only basket of the game with 35 seconds remaining in the third quarter to cut the lead to 52-49 following a 12-2 run. By the end of the third quarter Dunbar extended their lead back to 55-49. Dunbar's hot shooting in the fourth quarter helped seal the win with the Bulldogs shooting 8-of-8 from the field. A pair of Jordan Lewis free throws with 5:43 remaining gave the Bulldogs their largest lead of the quarter at 64-49. Ja'Kory Freeman scored five straight for the Crimsons in the final minute to pull Manual within 80-73 but they couldn't get any closer. The Bulldogs scored the final four points of the game to seal the 84-73. Dunbar's Taveion Hollingsworth scored an event high 40 points and Darius Williams added a double-double with 30 points and 11 rebounds. Dwayne Sutton led Manual in scoring with 18 points and Steven Gordon and Ja'Kory Freeman added 13 points and 10 points respectively. It was 2015 King of the Bluegrass finalist Taylor County (20-4) taking on 6th ranked Henderson County (20-3) in the marquee game today. It was the 13th ranked Cardinals that got the best of the Colonels in a physical battle that featured more than 50 fouls. The opening quarter of the top 15 matchup belonged to Taylor County. After scoring on their opening possession of the game the Cardinals converted five Henderson County turnovers into six points. Brandon Berry's fourth basket of the game pushed the Taylor County ahead 12-7 with three minutes remaining in play. The Cardinals held on to a 14-11 lead at the quarter break. The two squads battled to a pair of lead changes and three ties in the opening three minutes of the second quarter. A Brandon Berry basket pushed the Cardinals back ahead 23-19 before Henderson County went on an 11-6 run. Quentin Goodin's basket in the closing seconds of the half pulled Taylor County back within 32-31 at the half. The first four minutes of the second half saw the two teams exchange the lead on eight different occasions before Brady Norman's three-pointer gave Henderson County a 45-44 lead with 4:04 remaining in the quarter. Norman's basket was the start of a 12-0 run by the Colonels that gave them a 54-44 lead with two minutes remaining in the third quarter. The Cardinals were the ones making the final run of the quarter using two transition baskets to pull within 55-53. A Cam Morgeson three-pointer Taylor County the 56-55 lead at the end of the third quarter. Midway through the fourth quarter it was David Sloan putting the exclamation point on a 10-1 Cardinal run with a dunk to take a 68-62 lead. Seven more lead changes kept the teams knotted within a basket of each other when David Simmons dunk put Henderson County ahead 78-77. A technical foul on Simmons sent Goodin to the line where he put Taylor County back in the lead 79-78. Antoine Calhoun gave Henderson County their final lead of the game at 80-79 on the next possession but the Colonels couldn't catch Taylor County. The Cardinals connected on three of their final four three throws for the 83-80 win. Henderson County had three players score 20+ points led by David Simmons 25 points, Brady Norman's 24 points and DJ Washington's 20 points. Taylor County was led by transfer Brandon Berry with 28 points and top-ranked recruit Quentin Goodin with 26 points. Labels: 2015, Henderson Co., Taylor Co. The Bullitt East Chargers (14-9) broke a two-game losing streak against former 8th Region rival Shelby County (14-7) in the second game of the afternoon. It took Bullitt East nearly four minutes to take their first lead of the game but the Chargers never looked back once they were ahead. Tyler Sharpe's basket with 4:12 remaining in the opening quarter gave Bullitt East the lead and initiated a 9-4 run by the Chargers. Kemar Mason hit two baskets in the 1:34 to pull Shelby County back within 19-18 at the quarter break. Bulitt East led by as many as nine points in the second quarter but Shelby County pulled back within 31-26 at halftime. Shelby County opened the second half on a 5-0 run to tie the game. By midway through the third quarter the teams were still knotted at 36-36 before the Chargers raced ahead on a 17-6 run. Shelby County never got closer than 10 points for the remainder of the game with Bullitt East extending the lead to a game-high 22 points in the final minute of play. A final bucket by Shelby County sealed the final score at 76-56. Bullitt East guard Tyler Sharpe led all scorers with 24 points and Jared Farris added 20 for the Chargers. Shelby County's Keenan Cochran led the Rockets with 14 points and James Gordon and Luke Dove added 10 points apiece. Labels: 2015, Bullitt East, Shelby Co. The host Fairdale Bulldogs (10-10) were in a dog fight on Saturday afternoon against Jeffersonville (5-7) in the opening game of the second day at the 2015 Forcht Bank King of the Bluegrass Showcase. The win snapped a three game winning streak for the Dawgs. A putback by D.J. Jones gave Fairdale the opening lead but the story of the opening quarter was the defense with the teams combining for a total of eight turnovers and 7-of-25 shooting. A 5-0 Red Devils run to end the quarter tied the game at 8-8. Back-to-back three-pointers by Michael Minton pushed Jeffersonville ahead by six points less than a minute into the second quarter. The Dawgs never recovered and trailed by five or more until Tre Richardson cut the lead to 25-21 with 22 seconds remaining in the half. Gleen Queen connected on his third three-pointer of the quarter to pull Fairdale back ahead 34-33 with 1:54 remaining in the third quarter. The Red Devils regained the lead on their next possession and held onto it until midway through the final quarter. Glenn Queen capped a 6-1 run for the Bulldogs to put them ahead 46-45 but the host couldn't maintain the momentum. Less than three minutes later the Red Devils lead was back to five points. Ethan Longacre's three-pointer with 0:39 remaining in the game gave the Dawgs hope cutting the lead to 51-53. Jeffersonville clinched the win with Chad Hudson's free throw with thirty seconds remaining. Dakota Collie's shot at the buzzer fell short and the Bulldogs fell 54-51. Jeffersonville's Demarre Sims led all scorers with 18 points. Anthony Southers added 8 for the Red Devils. 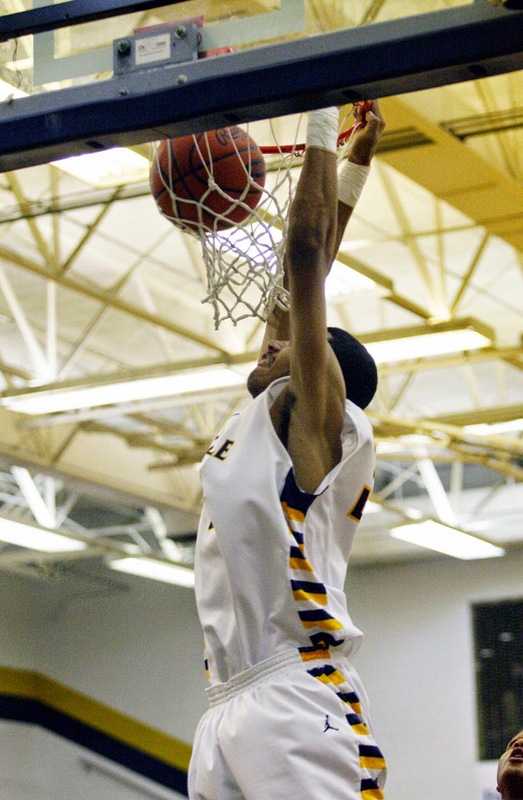 Fairdale was led by Glenn Queen with 16 points and Tre Richardson with 14 points. The final game of the evening saw the No. 7 Covington Catholic (18-4) defeat No.8 Pleasure Ridge Park (13-5). The defending state champion Colonels marched past the Panthers to claim their seventh straight victory in the events marquee top 10 match up. A crazy opening quarter of play saw the top 10 opponents battle to six lead changes and five ties. A pair of Greg Davidson free throws put PRP ahead at the end of the first quarter. Davidson opened the second quarter with a three-pointer to push the Panthers lead to five points, the largest lead of the half. The two teams battled to five more lead changes in the second quarter. Covington Catholic's Cole VonHandorf scored the final seven points of the half for the Colonels to push them ahead 31-27 at the half. The opening three minutes of the second half was all-Covington Catholic as the Colonels hit three straight three-point field goals to build a 12-point lead. The Panthers caught fire going on a 12-3 run and forcing three Colonels turnovers to pull within 45-40 at the end of the third quarter of play. Drew Glass' free throw in the opening minute of the fourth quarter pulled PRP within four points, but the Panthers couldn't get any closer. A steal and basket by VonHandorf mid-way through the final quarter pushed Covington Catholic's lead back to 10 points. Covington Catholic hit 5-of-6 free throws and a layup in the final 1:30 of play to extend the final margin to 65-54. Pleasure Ridge Park was led by Richard Gaines with 15 points. Greg Davidson added 11 points and Drew Glass recorded a double-double with 10 points and 13 rebounds. 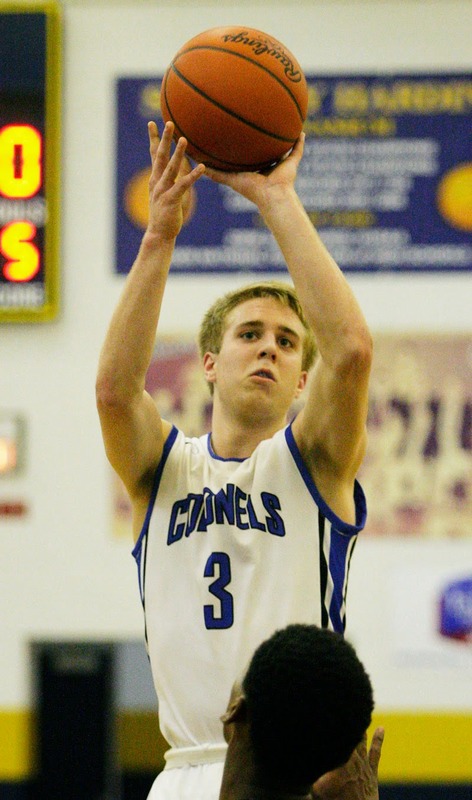 Covington Catholic Sophomore Cole VonHandorf led all scorers with 29 points. Andy Flood added 14 points for the Colonels. The host Fairdale Bulldogs (10-9) had their hands full against Newport (11-12) in the first of their two games in the 2015 Forcht Bank King of the Bluegrass Showcase. The Dawgs win was the second straight for a Louisville school against an out-of-county opponent in the event and was the third straight win for the Bulldogs. After scoring the opening basket of the game the host Bulldogs built an early four point lead on the Wildcats. Newport's Ethan Snapp scored six straight for the Wildcats before Kameron Covington gave them their first lead with three minutes remaining in the opening quarter. The two teams exchanged the lead three more times in the opening quarter with Tre Richardson's old fashion three-point play putting the Dawgs ahead 12-10 at the quarter break. Fairdale pushed their lead to 9 points following an 9-2 run to open the second quarter. Paul Price's steal and basket with two minutes remaining in the half pulled Newport within three points but the Wildcats couldn't get any closer. Fairdale took a 27-20 lead into the locker room at halftime. In the opening three minutes of the second half the Bulldogs pushed their lead to double digits on two different occasions. A 7-1 run by Newport with 2:30 remaining in the third quarter pulled the Wildcats back to within four points. Fairdale got four straight points from Tre Richardson to end the quarter and push the Dawgs back ahead 39-31. A pair of free throws to open the fourth quarter gave the Bulldogs a 10 point lead. It took Newport just three minutes to outscore the Dawgs 15-4 behind 10 points from junior Ethan Snapp. Tre Richardson scored another pair of baskets to even the score at 49-49 with 5:07 remaining. The Wildcats scored the next five points pushing ahead 54-49 with just 2:30 remaining in play. An offensive foul by Ethan Snapp, his eighth turnover of the game, gave the Dawgs possession with thirty seconds remaining. Tre Richardson's baseline dunk from Korey Tipton with four seconds to play gave Fairdale the 57-56 lead. Snapp's heave at the buzzer was unsuccessful giving Fairdale the victory. Ethan Snapp finished with a game-high 27 points or Newport . Fairdale was led by Tre Richardson with 18 points and D.J. Jones with 13 points. The Bulldogs got 22 points from their bench in the victory. Fern Creek (13-8) used a strong start to push past Knox Central (12-10) in the opening game of the 2015 Forcht Bank King of the Bluegrass Showcase. The match up marked the first appearance in the event for both programs. The win also marked the first for Louisville in the five matchups against out-of-county opponents. The Tigers scored the opening basket of the game and never looked back pushing ahead 24-11 with just over a minute remaining in the opening quarter. Fern Creek's stifling defense helped the Tigers convert five points off turnovers and hold Knox Central to 35.3% shooting. A free throw by Matthew Barger pulled Knox Central back within 4 point just 3:30 into the second quarter. Dallas Yeager's basket pulled the game even at 34-34 with 1:42 remaining in play. Knox Central tied the game for a second time a minute late but trailed 37-36 at the half. Just ten seconds into the second half Knox Central Nate Cole put the Panthers ahead 38-37 for their first lead of the game. A 15-2 run in the opening five minutes of the half put Fern Creek back ahead by ten points. Matthew Barger scored seven points as part of an 11-1 run by Knox Central that sent the game into the fourth quarter tied at 55-55. Anthony Wales' basket in the opening minute of the final quarter gave Fern Creek the lead for good. Knox Central got as close as 2 points on three separate occasions but couldn't convert despite five missed free throws by the Tigers in the final 2:30. Kyree Hawkins' free throw with 13 seconds remaining sealed the final score of 70-66. Knox Central's Matthew Barger led all scorers with 26 points. Junior Chad Marsee added 16 points and 16 rebounds for the Panthers. 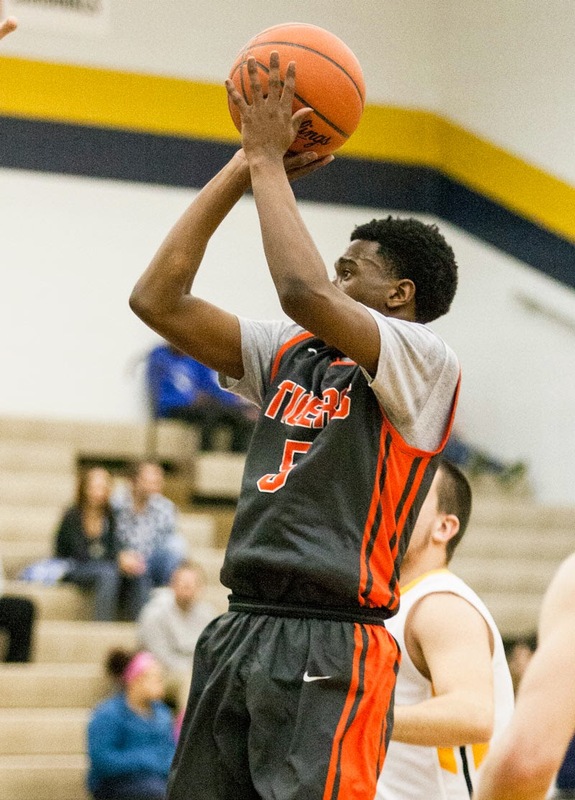 Fern Creek was led in scoring by Ahmad Price with 19 points. Anthony Wales and Tony Washington added 15 and 12 points respectively. 1:30pm -- Bullitt East vs. Shelby Co.
3:00pm -- Taylor County vs. Henderson Co.
Labels: 2015, Bullitt East, Covington Catholic, Dunbar, Fairdale, Fern Creek, Henderson Co., Jeffersonville, Knox Central, Manual, Newport, PRP, Shelby Co., Taylor Co.